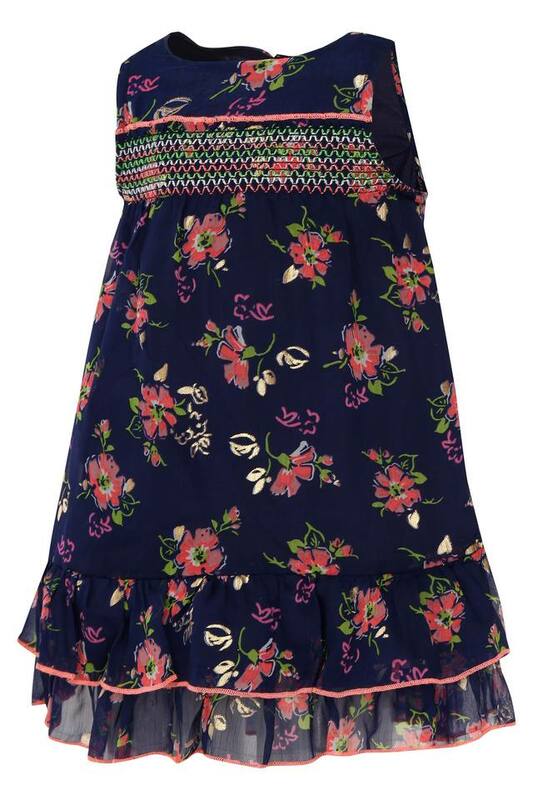 Let your daughter stay comfortable for long hours by making her wear this A-line dress from Nauti Nati. It features a floral print, which gives it a trendy look, while the round neck accentuate the design. 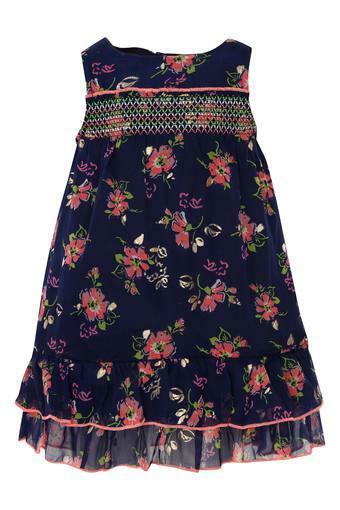 In addition, it has been crafted from a fine quality fabric that ensures easy maintenance. Comfort and style go hand in hand with this A-line dress, which has been crafted with care. 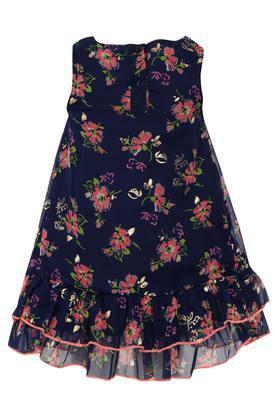 Let your daughter wear it with a pair of ballerinas while accompanying you for any casual outing.